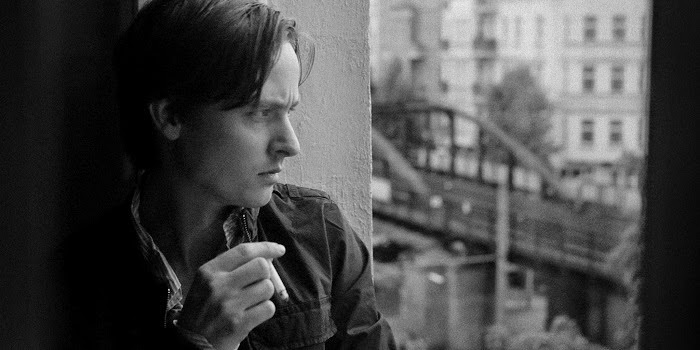 Originally released in Germany in 2012 under the title Oh Boy, A Coffee In Berlin is the debut film for Jan Ole Gerster. It was her thesis film for the German Film and Television Academy in Berlin. It's essentially a day in the life of Niko Fischer (Tom Schilling), and it's not a very good day for him. I like slice of life films. The type that tends to meander through the everyday events that give you a sense of what life is like for people elsewhere in the world. These events, as minute as they may seem, also have a hand in shaping the character's life. For Niko, all he wants is a decent cup of coffee. The humor is that everywhere he goes he can't seem to grasp that ever elusive cup of coffee. Either the restaurant has stopped serving it, or didn't serve it to begin with, the machine is broken, the coffee's too expensive, or the coffee dispenser has run out, only to be replaced the moment he steps away. This is just his central struggle, and just a sample of the type of bad luck that follows him even in his interactions with other people. He has to face his father, who has extremely high expectations of him, and break the news that not only had he dropped out of college, but he'd been keeping the money his father gave him to pay for school. The disappointment of his father stings almost as much as being cut off financially. In many ways I was reminded of Francis Ha. Both are filmed in black and white, and both involve a young 20-something attempting, and failing, to make it in life after college, while still trying to figure out what to do with themselves. It's a subject that hits home not just with me, but a growing audience of young, post college people who still don't quite feel like adults. Niko's interactions range from awkward to absurd. From his upstairs neighbor to the strange man at the bar who wants to share all his stories with Niko. Worse yet, he meets his psychologist, a man who seems sick of dealing with Niko, and twists his words to make Niko feel stupid, and like he might even be an alcoholic. He also runs into an old classmate he knew from high school. I'm all too familiar with the concept of running into an old acquaintance from high school and feeling strange about the interaction. You feel obligated to have a conversation. Having shared a class in the past you are somewhat obligatory "friends for the moment." Even if you weren't really friends when you knew each other in the past. Eventually Niko realizes she's using him in some way shape or form for her own reasons. The film might have felt a little too much like a downer if not for the light jazzy score, and the subtle bits of humor scattered throughout. Both elements add a nice sense of balance to the film. For the most part Niko is a blank slate, for the audience to implant themselves. He's our window into Berlin and the strange people he runs into. 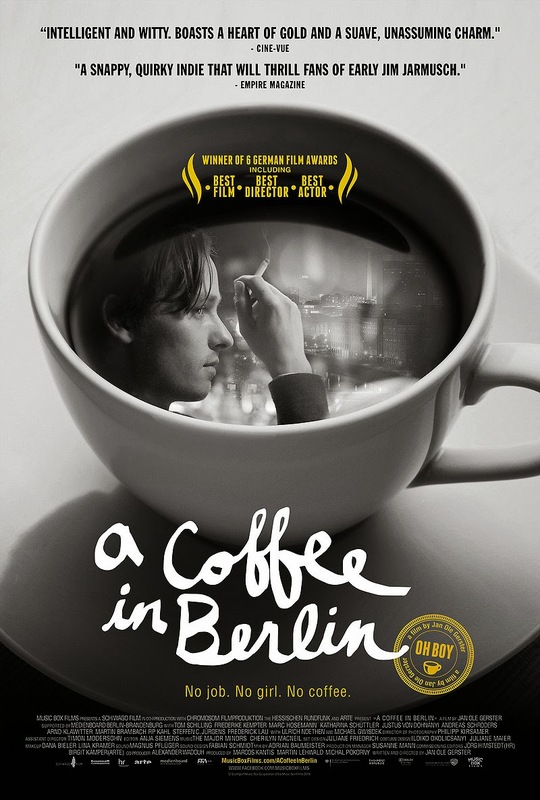 For a debut film, A Coffee In Berlin features strong performances and direction. The types of characters Niko meets are all a bit out there, but Gerster's direction keeps them believable, and doesn't let the scenes get out of hand. By the time the film's central struggle to get that comforting cup of coffee finally does get its very satisfying and emotional pay off, we feel like we need our own cup of coffee as well.